Although quick fixes in life are never a substitute for practicing self-care, there are times when we need some rapid tools at our fingertips. So, what about Aromatherapy? Can smelling essential oils really have any effect on us at all? Well it seems it can for a number of reasons. 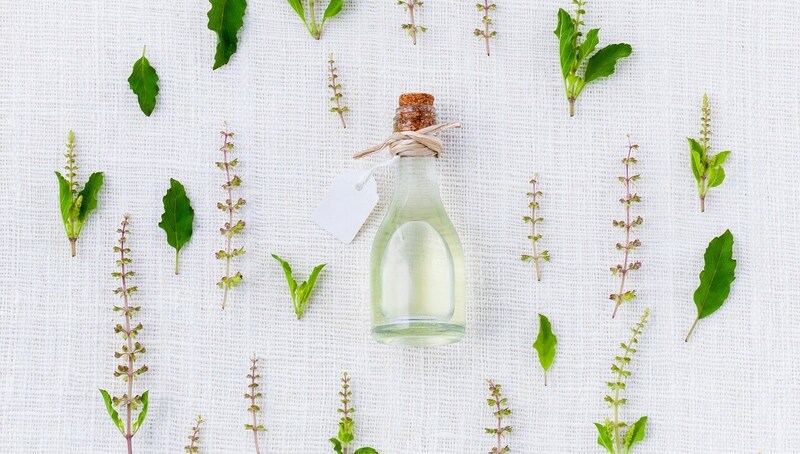 Aromatherapy is becoming increasingly popular as a powerful wellbeing tool and has shown the potential to lift mood, reduce anxiety, induce calm and support restful sleep. Have you ever smelt something and found yourself transported right back to a powerful memory where you can re-connect with every detail of a time and place? Perhaps the way you are reminded of winter when you smell pine needles? Or of a temple when you smell incense? Every time I smell the sweet aroma of cloves I am taken to a wonderful memory of my dad coming home from work when we were small children. We would wait at the corner and run to him when we saw him coming up the street. He would laugh and lift us high in the sky. I never knew why it was cloves that took me there until years later when I worked as a dental nurse for a while. My dad had been a dentist and it was the clove oil they used that I could smell on him when he came home. My association was not with going to the dentist, it was attached to a specific happy memory of home coming. These smell memories are extremely personal associations. Someone else might smell clove oil and immediately experience anxiety and fear of the dental chair. Another might think of hot mulled wine and feel all warm, cosy and sociable. This is because the smell centre in your brain is right next to the limbic system which deals with memory, instinct and emotions. Because the molecules in essential oils are very volatile they quickly vaporise into the air. It is the reason that they smell so strong. As we breathe in the air containing these tiny particles, our memory and emotions are the very first thing to be triggered. Essential oils also have physical properties that can affect us all in the same way. The effect is dependent on the type of molecules that the specific oil contains. For example, Lavender and Chamomile oils are well known for their soothing, calming and sedative effects, while Peppermint or Rosemary would have a stimulating effect on the brain. Once you have breathed in the aroma, the molecules entering your nose have sent messages to the smell and memory centres in your brain. After that the message travels quickly on to the hypothalamus which can trigger emotional responses such as euphoria, clarity or calm. The message is dependent on the composition of the oil, so a sedative substance may cause the brain to send out a message of relaxation to part or all of the body. WHICH OILS ARE BEST TO CHOOSE? That depends on the effect that you are hoping for. There is an overwhelming array of choice available and the oils all contain different molecules which have different effects. Remember too that you will have your own personal emotional response associated with your memory. So, if you have a favourite scent that makes you feel good, that is a good place to start. Mindfully create a 1 minute ritual to do this. Slow your breathing. Breathe in deeply through your nose while inhaling the aroma. Hold for a few seconds. Then breathe all the way out through your mouth. Repeat 3 or 4 times, taking in the fragrance of the essential oils each time. Diffuse into your room. The best diffusers are electric. Heating over a ceramic burner with a flame destroys the precious essential oils as they overheat. Add about 5 drops of oil to water which creates an aromatic vapour. You will no doubt have experienced the invigorating energy from smelling Peppermint or Eucalyptus. You know, that fresh off-the-mountain breeze that blasts you awake and makes you feel super alert. It feels pretty instant doesn’t it? A Complementary Medicine Research study gives an idea of the speed of the effect. Stress levels on the group were already significantly reduced 15 minutes after diffused Bergamot essential oil was inhaled. Interestingly, this effect continued to increase within the body after the Bergamot was no longer being diffused. There are many studies showing that essential oils can have a calming effect on stress and anxiety. You may have already experienced this yourself. One such study, published in the Physiology & Behaviour Journal, of 200 patients waiting to see the dentist, showed that Lavender and Orange essential oils significantly improved mood and calmed anxiety. Another study on nursing staff, published in the International Journal of Nursing Practice, shows that Lavender essential oil can significantly reduce work-related stress. Naturally you need to choose the right oils, but aromatherapy can be a very useful tool in stress reduction. Rebecca McKnight is a qualified Aromatherapist, Botanical Formulator, and founder of the EMOTIV Aromatherapy Mood Shots brand. Emotiv Aromatherapy Mood Shots are little pots of potent plant power for your own personal sanctuary wherever you are. An oasis of calm, a shot of energy, a moment of mindfulness… what is your need today? Create a quiet ‘time-out ritual’ by rolling onto pulse points or the back of your hands. Breathe deeply, gather your intent, and inhale the beautiful aroma.